bi3 invests in innovative ideas and the people who inspire them. In December 2017, bi3 awarded more than $3.8 million in funding to spark health innovation in palliative care, behavioral health and primary care integration, as well as new digital solutions. 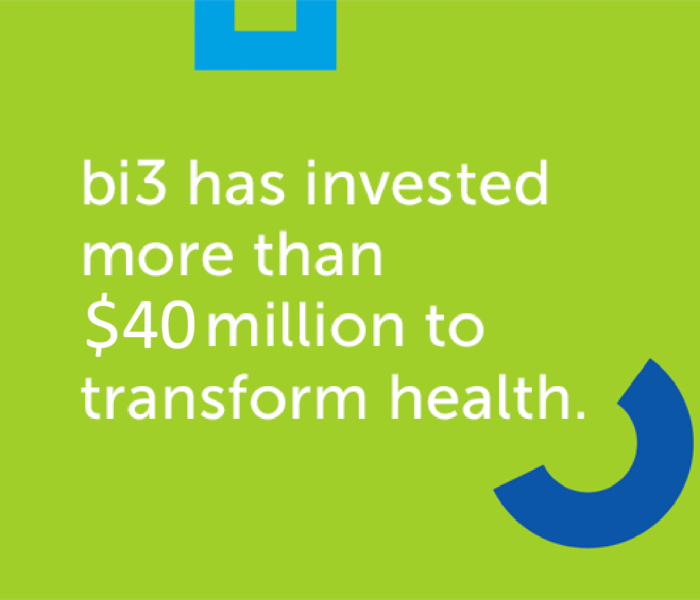 Since 2010, bi3 has invested more than $40 million to transform health and healthcare, ranking it as one of Ohio’s largest health-focused grantmakers. Here are some of the new ways bi3 and community partners are enhancing the health of people in our community.